Sometimes life gets a little chaotic in the battle to balance workflow with family time. But through home automation, you can streamline life a little and spend more time enjoying your home with your family while increasing your security and maximizing your time. Home automation allows you to integrate technology into your house to control everyday tasks like heat, light, and sound. Automated homes are on the rise in the job market, quickly becoming one of the biggest trends in the industry. Nearly everyone already keeps a powerful supercomputer in their pocket: their smartphone. Our phones manage our calendars, conversations, and connections and it’s understandable we want our homes to be able to function with similar efficiency. Enjoy a full night’s rest by taking control of your security with home automation. Camera monitoring is a feature of the majority of security systems and you can view each one from a touch screen in your home or even your smartphone. With home automation, you can keep a careful eye on your front door from wherever you are! If you want to see or even talk to whoever is at your door, you can. With the touch of a button or fingerprint access, you can control door-locking mechanisms or automatic lights to distinguish the person at your front step. Illuminate your space as bright or dim as you want with smart lighting systems, an increasingly common feature in homes everywhere. Turn the lights low for a romantic night in or turn them up for a dinner party. If you forget to turn off the lights in all the fun, it’s no issue. Turn them off from your smartphone no matter where you are! As a homeowner, you’re constantly seeking to save your money, and luckily home automation utilizes energy management systems to help you do so. Track, analyze, and improve your energy usage habits through management technology that operates your home with efficiency. Furthermore, you can use your smartphone or tablet to control the energy system by just observing your usage or making changes. With these automated systems, you can save money on top of increasing your home’s value. While you might enjoy opening your curtains to let in some light, the sun can be a nuisance by casting glares on your screens or fade your furniture and paintings. From a touchscreen, automatic motorized shade control allows you to protect your expensive furnishings, raising your home’s value at the same time. And you didn’t even have to leave your couch to do it! Want to add a ton of value to your home? Invest in a structured wiring system, which seamlessly integrates all the features of your home. 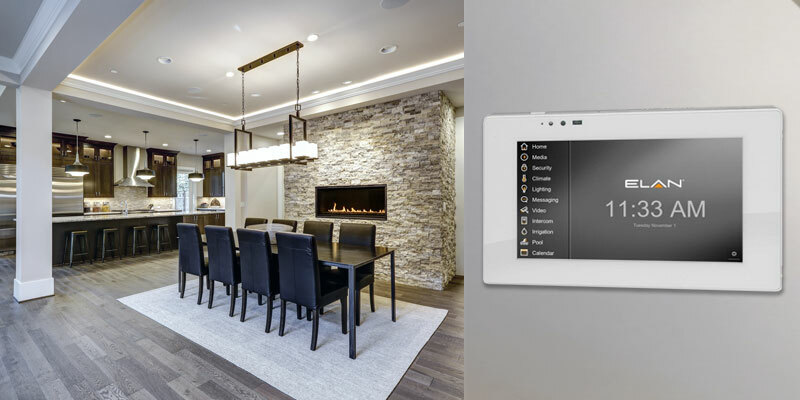 A central panel unites all the wiring for your home’s technology through an infrastructure that connects your video, audio, internet, telephone, lighting, and more. Sometimes the movies can be overwhelming; loud action scenes or jump scares can frighten little ones. Instead, bring the movies home where you can control the volume from the comfort of your media room. Access your speakers through Wi-Fi or Bluetooth from anywhere in your home to stream audio in one room or multiple. However, everyone can still stream music or watch movies on their own devices. You can even take movie night outside and control digital projectors and wireless speakers from a smartphone or touchscreen, increasing the value of your home and your family time.